This weekend, I saw something I thought I would only be able to see in Mexico or California. 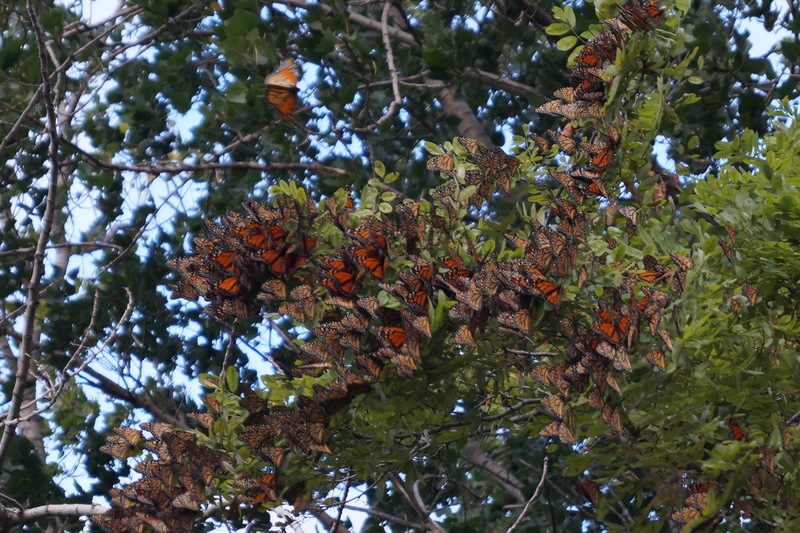 A rainy cold front caused thousands of migrating Monarch butterflies, who had just made a strenuous journey across Lake Erie, to “fall out” in Wendy Park, just east of Cleveland. A fall out is a phenomenon that happens when a migrating species, usually a species that migrates over water, hits a weather barrier. Fall outs usually happen with birds during spring and fall migration but they can happen with Monarchs as well. The conditions were perfect for a fall out on Saturday night and there were several clusters of hundreds of butterflies throughout the park. Conservative estimates put the number at around 4,000 butterflies. Matt and I saw an alert go out on one of several Ohio birding networks Saturday evening. We were on our way home from a day of birding at Sandy Ridge Reservation and decided to stop by, despite the deluge of rain. Jen Brumfield, a naturalist with the Cleveland Metroparks, was waiting in her car for people to show up. We got completely soaked but she was able to show us some very large clusters of butterflies. Knowing the rain would keep them grounded for the night, we decided to go back first thing Sunday morning to get better views. It was chilly and very windy but the rain had stopped and we were able to see hundreds of butterflies take flight and continue their journey south to Mexico. This was one of those times when I wished I was a better photographer! Neapolitan soap cake slice – The description from Norfolk Bath and Body says this is soap but I’m not convinced. Maybe I’ll have just one bite. Soap cake – Every picture in this post from The Soap Bar is soap. So why am I feeling so hungry? Watermelon soap – After all those sweets, something healthy would be nice. Check out the amazing tutorial for making soap that looks like watermelon from The Soap Queen. Monarch Caterpillar – It was Monarch madness this weekend. Not only did we see thousands of butterflies, we also saw several caterpillars. This was the first time I was able to find a caterpillar in the wild. Gazing at nature makes you more productive – If this is true, I’m going to be extremely productive at work this week! You say green pepper, I say mango – Where I grew up, green peppers were called mangos. Imagine my confusion as a 23 year old seeing an actual mango for the first time. Did looking at dessert inspired soaps make you hungry for something sweet? This vegan chocolate chia pudding would hit the spot and would be much healthier than eating an entire cake. The cooler temperatures we had in Ohio this weekend was the perfect excuse for warming up with a cup of vegan pumpkin pie hot chocolate. Want something fruity and salty? Try a watermelon & feta salad for a side dish this week. That tiny white dot near the middle vein of the milkweed leaf is a monarch butterfly egg! For the last week, monarch butterflies have been busy laying eggs in my milkweed patches. 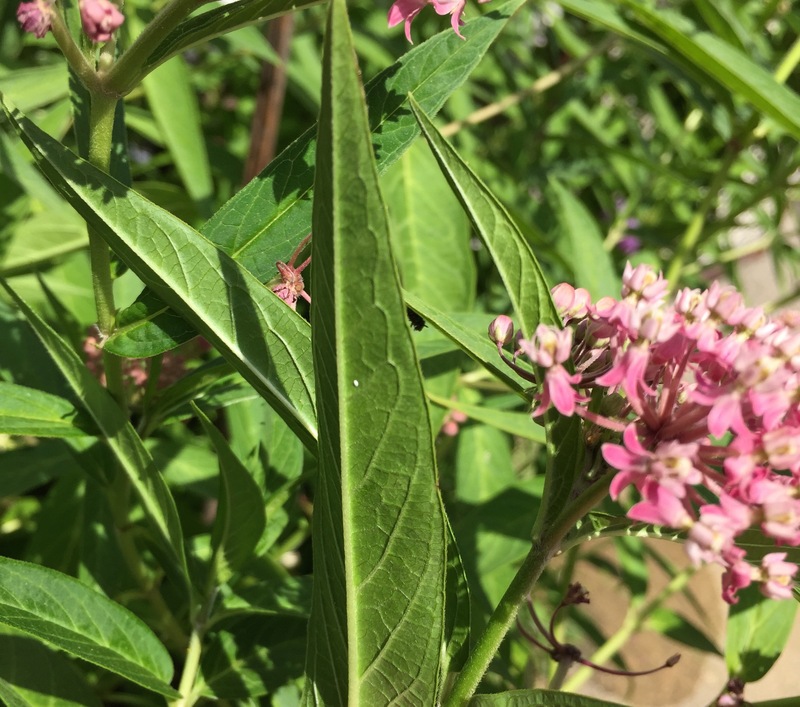 I love monarchs and I grow milkweed every year with the hope that I’ll have a successful caterpillar. It hasn’t happened yet but maybe this is the year? Mariposas – Kokolele makes amazing soap and gorgeous butterfly inspired soap is no exception. Butterfly & Hearts Soap – I love the delicate and lacy look of this soap by The Charming Frog. 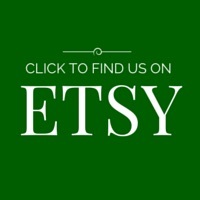 Monarch Butterfly Soap – Here’s another beautiful butterfly soap from the The Charming Frog. The detail is amazing! The science of cute – Next time your boss catches you looking at cute animals online, just tell them it’s scientifically proven to make you more productive. Rudeness is contagious – Just be kind. Watch your tone – This would be a useful tool for those times when being kind is difficult. When I’m in a mental slump at work or at home, there really is nothing like furry animals doing adorable things to a catchy soundtrack to break me out of it. The one animal that is guaranteed to put a smile on my face is the sloth. A 30-second video of a sloth eating an almond leaf is all I need brighten my day. Even Sir David Attenborough can’t resist the slow moving power of the sloth! What’s your favorite way to unwind after a rough day at work?